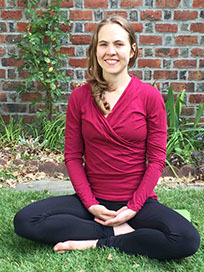 Emily is a graduate of the Tisch School of the Arts & has been teaching GYROTONIC® for over 9 years. She is a certified trainer in GYROTONIC® ( Level 1 &2), GYROKINESIS®, Jumping Stretching Board, GYROTONER®, Archway & Leg extension unit. She is passionate about helping her clients to restore optimum body function & the pleasure of everyday motion. She has in depth experience with chronic hip, back, shoulder, neck, knee & gut pain as well as multiple sclerosis, plantar fasciitis, auto-immune diseases & pre/post natal. Her GYROTONIC® sessions are enhanced by her studies in GYROTONIC® applications, Core awareness, anatomy & neuromuscular function, contact Improvisation, The Singing & Dancing Body, Qi-Gong, Meditation & The Universal Tao, Yoga, Alexander Technique, Feldenkrais & breathing coordination. Emily is also certified in MELT® Method & Thai Bodywork & still performs for several NYC choreographers. Emily's GYROTONIC® rate is $130/hr.